A group of more than 30 non-governmental organisations have slammed the EU’s move for a counterfeiting and piracy watch-list, claiming it will “chill” third countries’ efforts to protect public health and to promote access to medicines. The signatories, which include Health Action International, Oxfam and STOPAIDS, voiced their concerns in an open letter to Cecilia Malmström, the EU trade commissioner. The concerns relate to the European Commission’s announcement earlier this year, calling for submissions to create a Counterfeiting and Piracy Watch-List to identify the online and physical marketplaces outside the EU where counterfeiting, piracy or other forms of intellectual property abuse are “common practice”. Similar in scope to the US Trade Representative’s annual Special 301 Out-of-Cycle Review of Notorious Markets report, The EU watch-list would help raise consumer awareness and encourage marketplaces, local authorities and governments “to take the necessary actions and measures to reduce the availability of IPR infringing goods or services”. 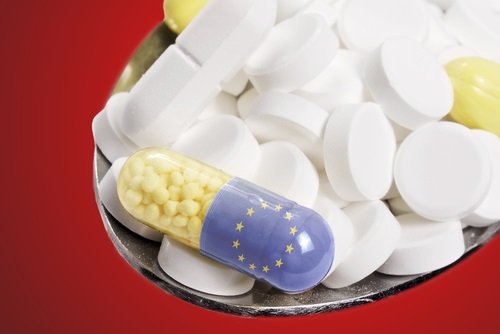 However, according to the NGOs, an EU watch-list could lead to additional regulatory requirements in non-EU countries, which could affect public health protections and access to medicines in those countries, while undermining a number of international conventions and treaties that support and promote access to medicines to protect public health. The NGOs claimed that the European Commission was conflating counterfeiting and piracy with the legitimate use of flexibilities detailed in the World Trade Organization’s (WTO) Trade-Related Aspects of Intellectual Property (TRIPS) Agreement, which sets out minimum standards for the international regulation of IP. In 2001, WTO members signed the Doha Declaration, which sought to clarify ambiguities around TRIPS in regards to public health. A particular concern had been that patent rules might restrict access to affordable medicines in developing countries, specifically in regards to controlling diseases including HIV, tuberculosis and malaria. While acknowledging the role of IP protection for the development of new medicines, the Declaration specifically recognises concerns about its effect on prices and notes that TRIPS does not prevent members from taking measures to protect public health. “Despite the European Union’s public pledge of support for third countries’ right to use the flexibilities of the TRIPS Agreement and the support of an indefinite exemption for least-developed countries on implementing WTO intellectual property rules for pharmaceuticals, the EU Watch-List will chill third countries’ efforts to protect public health and to promote access to medicines as reaffirmed by the Doha Declaration on the TRIPS Agreement and Public Health,” the NGOs wrote. The signatories argued that an EU watch-list would “encourage” third countries to implement TRIPS-plus measures, which go beyond the measures mandated in the TRIPS Agreement, such as narrowing the grounds for compulsory licensing, the introduction of regulatory data exclusivity and patent term extension or promoting lax patentability criteria. Such measures introduced in this way, which would undermine several international principles, could impede states from legally using exclusions, exceptions and flexibilities to protect public health, the NGOs said. The group has requested a meeting with Commissioner Malmström to discuss the matter further.